EN 140:1998 Approved for Face-piece. Produced from non-allergic, Soft & odour less material to ensure high comfort. o Light in weight . o Easy to use & well balanced. Our company holds expertise in offering premium quality Face Safety Helmet to our valuable customers. The offered masks are manufactured from skin-friendly fabrics, which are sourced from certified vendors. Our logistics professionals assure the timely delivery of these safety masks at the customers' end in a zest to attain maximum customer satisfaction. Under the expert guidance and able supervision of skilled and experienced workforce, we have been able to offer Industrial Safety Mask to our valuable customers. 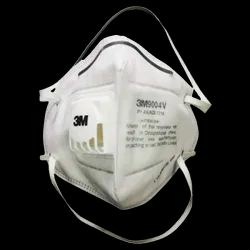 Manufactured as per the industry set norms and regulations, these masks are used in different industrial applications for providing protection against dust. Offered masks are available with us in bulk quantities due to our spacious and well-equipped warehousing unit. 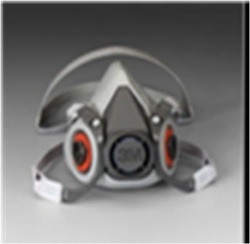 We are instrumental in offering best quality Safety Mask to our valuable customers. Being a quality conscious organization, the optimum quality of our masks is maintained through rigorous quality assurance procedures conducted at our advanced in-house quality testing unit. 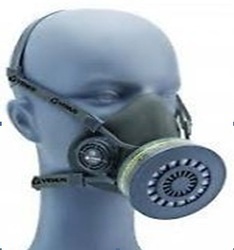 With our well-equipped warehousing unit, we have been able to offer these masks in bulk quantities. 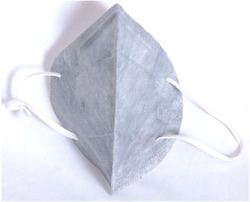 Half mask Face-piece in soft TPE material (Thermoplastic Electrometric) in Grey colour material. - Easy to use & well balanced. We are one of the leading manufacturers, traders and retailers of finest quality Respiratory Safety Masks for our prestigious customers. 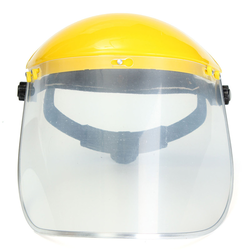 Utilizing advanced machinery, our professionals manufacture these safety masks in accordance with the industry laid norms and regulations. With our well-equipped packaging unit, we have been able to offer these masks in tamper-proof packaging. 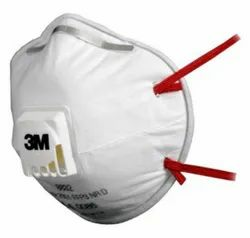 Looking for Safety Mask ?